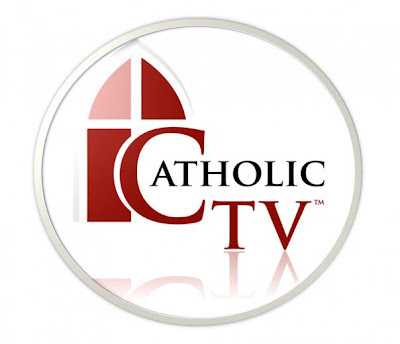 In December of 2008, The CatholicTV Network received record support from loyal viewers despite the recession. In 2009, much of CatholicTV’s equipment needs updating, including cameras which are 15 years old. Due to increased innovations and needs, show support with a card or mail in a donation this December. CatholicTV periodically updates viewers on air about the amount of mail received month-to-date. CatholicTV began broadcasting over 50 years ago in the city of Boston as the world’s first diocesan television station. Monsignor Walter Flaherty came up with the idea of launching a television station that would broadcast the Sunday Mass (Sunday church service for Catholics) to those unable to leave their homes. Ultimately, his vision became CatholicTV. When Monsignor Flaherty presented the idea to the then Archbishop Richard Cushing, the Bishop agreed to let him proceed on the condition that the station would not cost the diocese any money. After 50 years, the station not only is still self sufficient, but has grown at a rapid pace due to the affirmation and support of millions of people over the years. CatholicTV recently launched 2 unique innovations. These include the CatholicTV widget, which allows a “miniature CatholicTV set” to be added to any website. Websites use the widget (called CatholicTVjr) to attract more site visitors by offering Catholic video content to their site visitors at no charge. Catholic videos every day on their handheld devices also at no charge. More information about the widget “CatholicTVjr” is available at www.CatholicTVjr.com.